This entry was posted in Balance and tagged 2", action, actions, balance, bored, boredom, busy, busyness, change, choice, commitment, exhaustion, finish, fuse, habit, habits, health, important, information, Job, maintain, manage, management, motivation, non-negotiable, organization, overload, path, pray, process, quest, react, read, refuse, refuse to give up, root cause, running, serve, small steps, struggle, success, time, trapped, victory, work by admin. Bookmark the permalink. Good commentary. Busyness without a purpose (a defined clear vision of why, what and where you are investing in your present state of busyness) is what I have called for a long time: Perpetual Motion on a Grease Slick! It draws a lot of attention, often kicks up a lot smoke but there is no traction. Nothing actually gets done but a lot of energy is wasted. Thanks. Purpose definitely is a key. There\’s also the idea of balance within busyness. 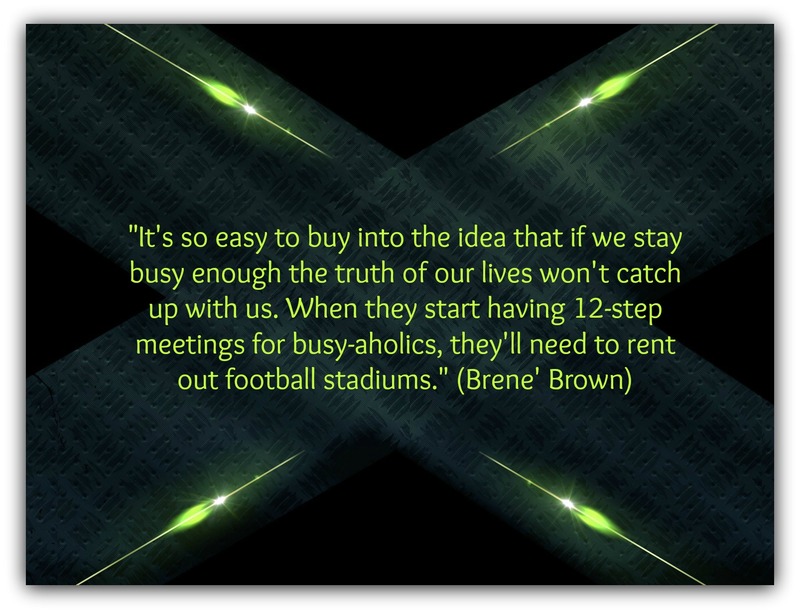 Busyness needs to be balanced. Kari, This is so important!! Your three steps are very doable, I like that. I also like the fact that you didn't focus on time management but on real change. Sometimes things just have to go. Great post, Kari! Sharing it on FB later this morning. Blessings to you! Thank you for this positive comment. This & next week\’s post are basically a luncheon seminar I\’m giving today. You\’ve confirmed I\’m on the right track. Thank you also for sharing! I'd like to give you a more complete answer but I'm really busy and need to get back to what I am supposed to be doing. 🙂 (You knew someone would do that to you didn't you?) Good advice Kari. I know I tend to have seasons where I am extremely busy and wham! I get knocked on my behind. Not surprised that it\’s you either. Seasons of busyness happen to everyone. Balance is a journey. Don\’t give up on finding it! You're right, Jason. Busyness can become both drug-like and an idol. We have to diligently fight against it because our culture certainly promotes this happening. In fact, if we do nothing, it will happen. I need the reminder too… often.